For a decade, NASA scientists have worked on an air-to-air photographic technology that will be used to collect data for the agency's next-generation supersonic airplane project. They've just released these absolutely astonishing "first air-to-air images of supersonic shockwave interaction in flight." “We never dreamt that it would be this clear, this beautiful," says NASA scientist J.T. Heineck. The images feature a pair of T-38s from the U.S. Air Force Test Pilot School at Edwards Air Force Base, flying in formation at supersonic speeds. The T-38s are flying approximately 30 feet away from each other, with the trailing aircraft flying about 10 feet lower than the leading T-38. With exceptional clarity, the flow of the shock waves from both aircraft is seen, and for the first time, the interaction of the shocks can be seen in flight. 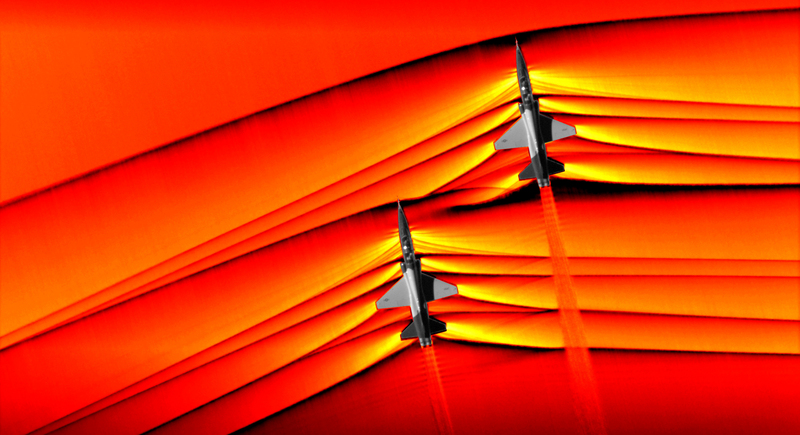 “We’re looking at a supersonic flow, which is why we’re getting these shockwaves,” said Neal Smith, a research engineer with AerospaceComputing Inc. at NASA Ames’ fluid mechanics laboratory. While NASA has previously used the schlieren photography technique to study shockwaves, the AirBOS 4 flights featured an upgraded version of the previous airborne schlieren systems, allowing researchers to capture three times the amount of data in the same amount of time. 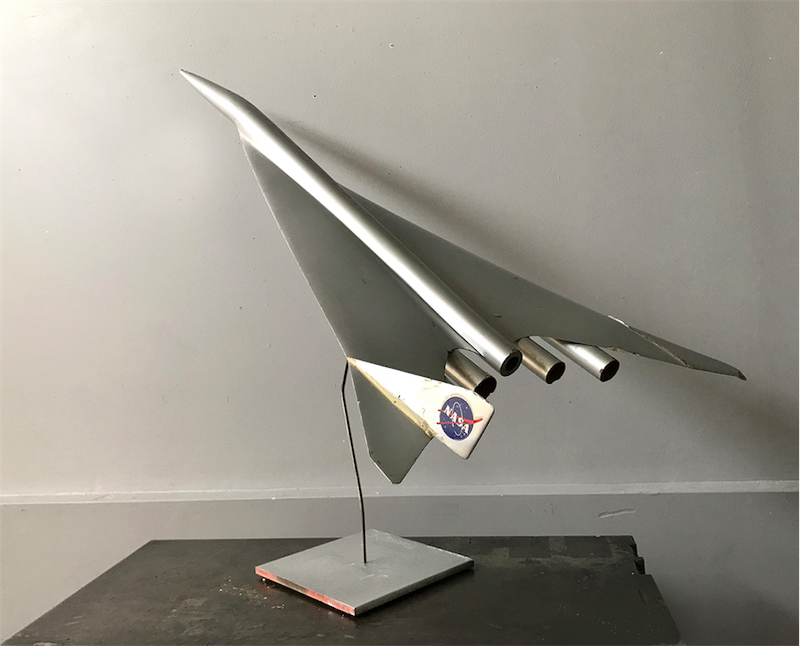 This gorgeous 1960s aerodynamic test model of a NASA supersonic transport plane from the space agency's Langley Research Center can be yours for $5,685. On offer from Agent Gallery Chicago, it's approximately 51" long with a wingspan of 24" and "built of wood and composite materials." Unfortunately, one of the fins has snapped off but I'm sure the right person could work wonders with a little balsa wood, X-acto knife, and paint.